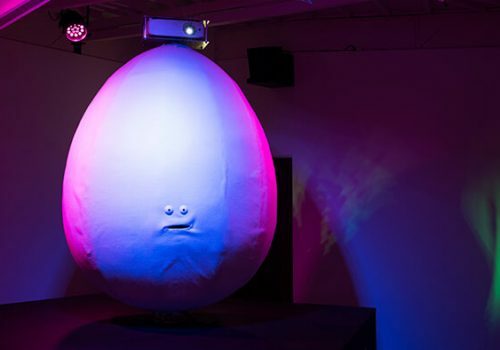 Susanne Thiemann “cocoons” are alive. 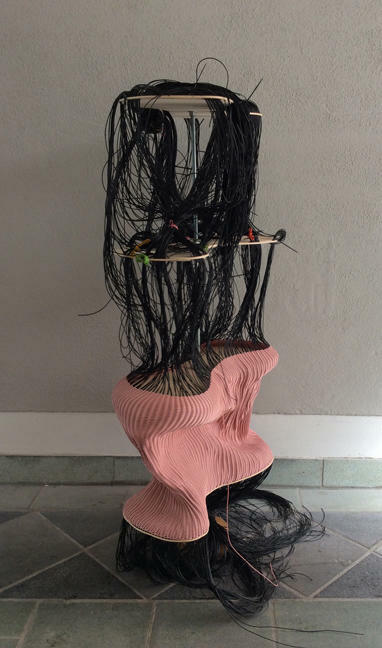 The artist and basket weaver from Munich turns frayed material into images; she interweaves chairs like intimate beings and weaves rubbery pillows that are so crumpled that they appear to be amorphous beings. Textile techniques have long since achieved independence in art as subtle yet strong forms of expression that play ironically and critically with feminine connotations. 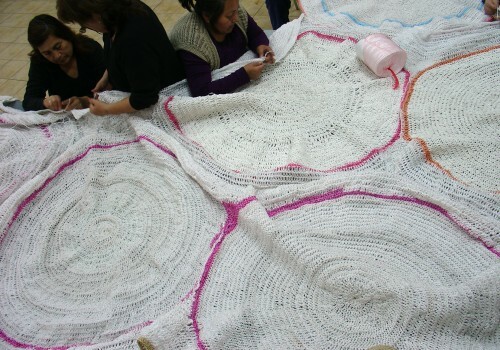 In her work, Susanne Thiemann brings the perfection of traditional crafts to the radical freedom of purpose of art. The sculptures of Susanne Thiemann are composed of thin monochrome plastic hoses, colored electric wires and thick strips of shredded car tires. 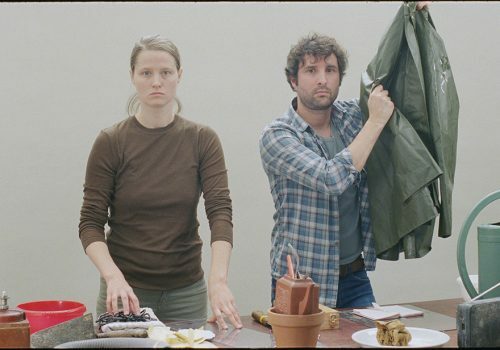 She selects pieces of lost property and remaining stocks of mass-produced, hardly decomposing products; the materials that trigger many connotations because they belong to our everyday life and use. Susanne Thiemann, born 1955, passed the Master Craftsman Examination of Basketry in 1986. 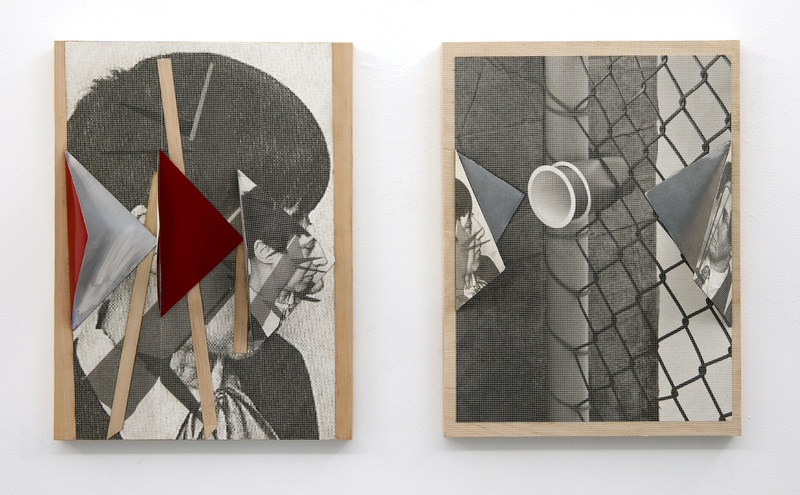 While attending the International Summer Academy of Fine Arts Salzburg, Austria she studied contemporary sculpture with New York-based artists Nancy Davidson and Frida Baranek. Her work has been exhibited internationally. Susanne Thiemann, Rome, Rosenheim, New York, 2013, Interlaced plastic tubes. 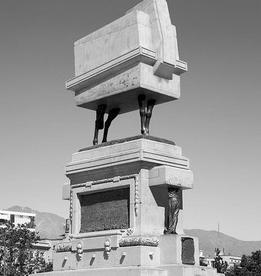 Pablo Jansana is interested in high and low culture. In his work, he uses materials themselves as generators of meaning by approaching editorial and graphic production as a process. 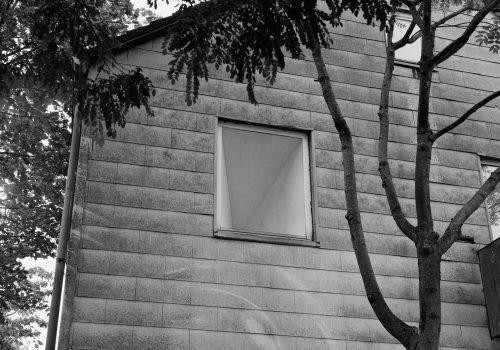 Jansana strives to create work that is highly charged and simultaneously empty. Pablo Jansana (born Santiago, Chile, 1976) currently lives and works in Brooklyn. Jansana received his BFA from Finis Terrae University in Chile. 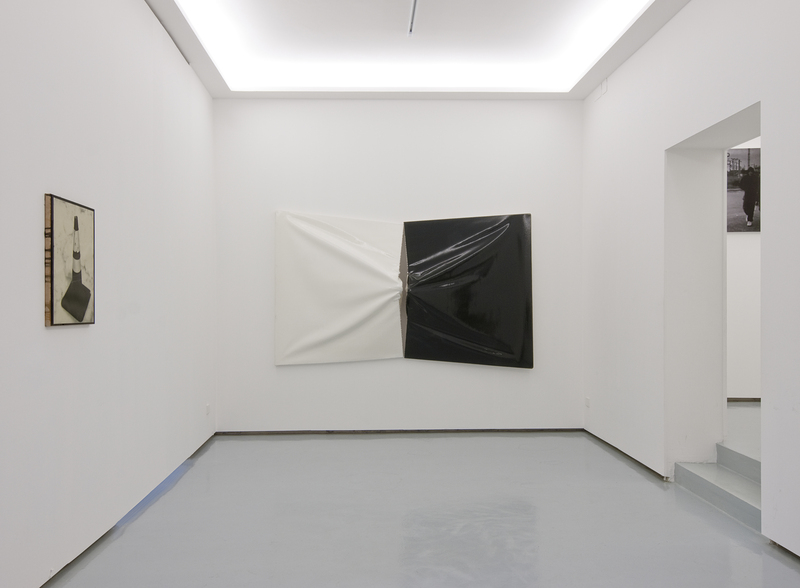 Solo exhibitions include: I with out Klennex, ArtEspacio, Chile, 2014; Highlighted Artist, Arco Fair, Madrid, 2013; Fall and Fold, The Goma, Madrid, 2012; Untitled, Okk Raum/29, Berlin, 2012; 20 Minutes of Weight, The Goma, Madrid, 2011. 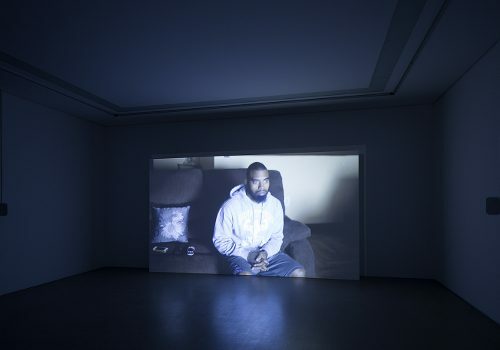 Group exhibitions include Eleven Rivington: Pablo Jansana, Evan Nesbit, Letha Wilson, Eleven Rivington, New York, 2014 and La Bienal 2013, El Museo del Barrio, New York, 2013. 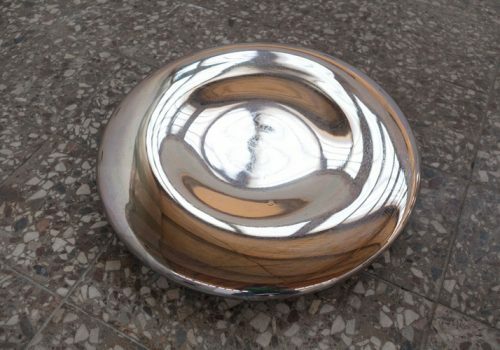 Pablo Jansana, 20 Minutes of Weight, 2011, Mixed media, Dimensions variable. Courtesy of the artist and The Goma. 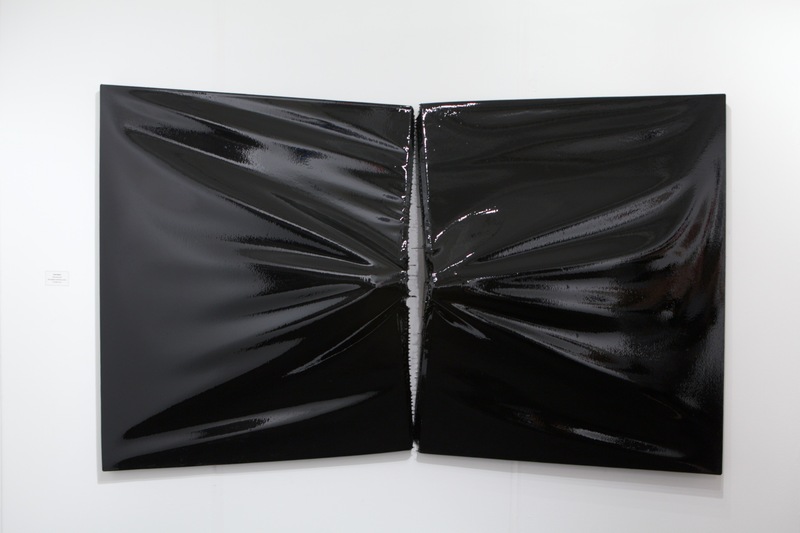 Pablo Jansana, B1 & B2, 2014, Epoxy and pigment on canvas, 120 × 50 × 13 in. (304.8 × 127 × 33.02 cm). Courtesy of the artist and 11R Gallery. 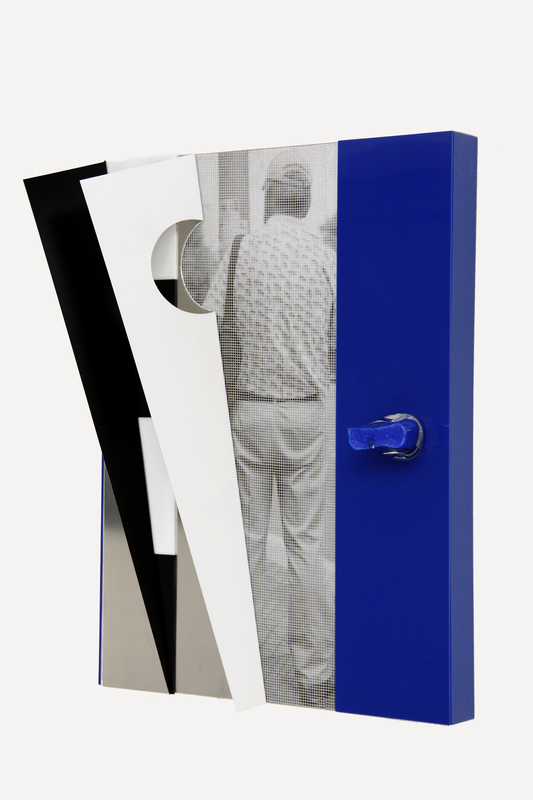 Pablo Jansana, Untitled #16, 2012, Epson Ultrachrome Pro 4880, resin, MDF, plexiglass, fiberglass, aluminum, and enamel, 17 × 23 × 5 in. (43.18 × 58.42 × 12.7 cm). Courtesy of the artist. 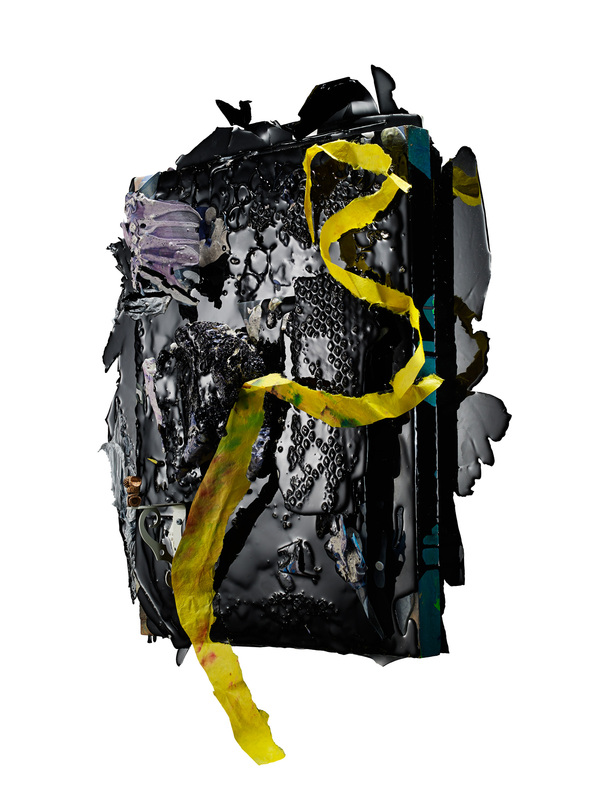 Pablo Jansana, Untitled #1, 2014, Epson Ultrachrome Pro 4880 inkjet print, lambda on MDF, paper, fiberglass, plexiglass, wood and aluminum, 17 × 23 × 6 in. (43.18 × 58.42 × 15.24 cm). Courtesy of the artist. Pablo Jansana, Acorn, 2016, Epson Ultrachrome Pro 4880 inkjet print, lambda on MDF, paper, fiberglass, plexiglass, wood, aluminum, pigment and resin epoxy, 25 × 31 × 2 in. (63.5 × 78.74 × 5.08 cm). Liisa Lounila (born 1976, Helsinki, Finland) lives and works in Helsinki. She received her education in the Department of Time and Space at the Academy of Fine Arts Helsinki. She has exhibited nationally and internationally, including at the 8th Istanbul Biennale; Schirn Kunsthalle, Frankfurt; MAXXI, Rome; and Museum of Contemporary Art Kiasma, Helsinki. She represented Finland at the 50th Venice Biennale. 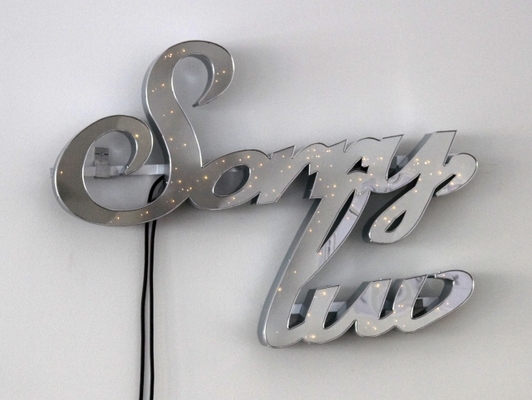 Liisa Lounila, Sorry, Luv, 2009, Blinking bulbs in a steel frame, 365/8 × 521/4 × 57/8 in. 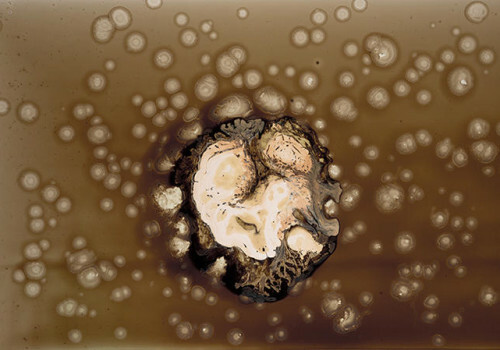 (93.03 × 132.71 × 14.92 cm). 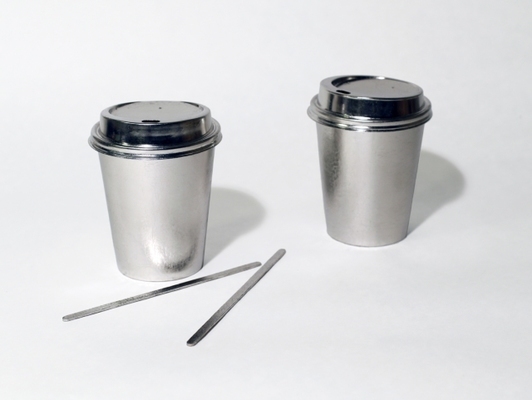 Liisa Lounila, Two Sugars Would Be Great, 2011, Palladium on take away cups and glass vitrine, 843/4 × 133/4 × 133/4 in. (215.26 × 34.92 × 34.92 cm). 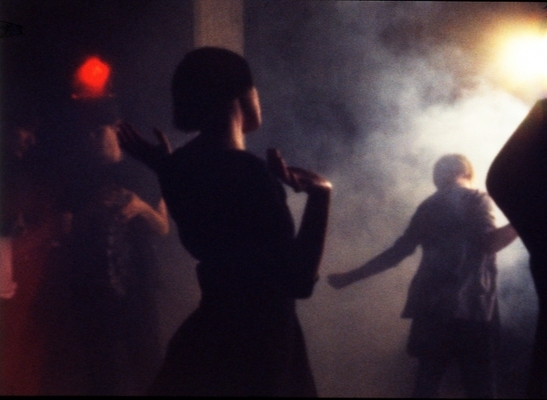 Liisa Lounila, Gig, 2007, Single channel video and sound, originally shot on 35 mm. 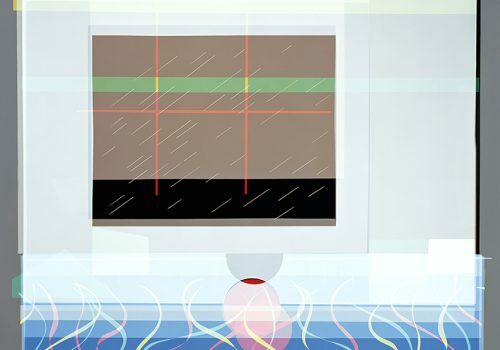 film with a pinhole camera, 3:50 min. 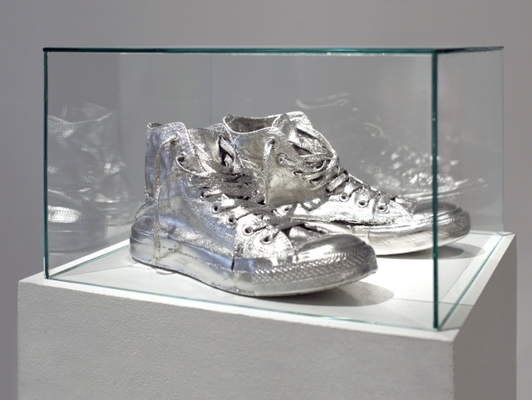 Liisa Lounila, Stargazing, 2011, Palladium on converse sneakers and glass vitrine, 843/4 × 133/4 × 133/4 in. (215.26 × 34.92 × 34.92 cm). 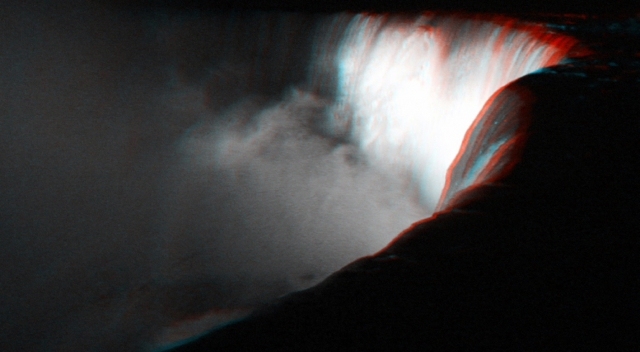 Liisa Lounila, Niagra, 2009, Red/cyan anaglyph single channel video and sound, 1:30 min.